Ex-cop turned cage fighter Luke Wright (Jason Stathan) finds himself embroiled in a three-way throw-down between the Russian Mafia, corrupt NYC officials and the Chinese Triad when he stumbles upon Mei (Catherine Chan), a 12-year-old Chinese girl who saves him from attempted suicide. Vowing to protect Mei from all and sundry, Luke thrusts himself back into his old, destructive life. Unlike many films of its ilk, Safe resists the temptation to explode into one relentless action sequence after the other from the offset. Instead, writer and director Boaz Yakin uses the first third of the film to set the scene, introduce the key players and allow for some emotional investment – something that adds an interesting dynamic to what would normally be a fairly by-the-numbers affair. That said, once the action does kick in, it’s as streamlined and exhilarating as you’d expect from someone as experienced in the genre as Yakin. What’s even more clever is that, surprisingly, Yakin knows exactly how much information to divulge to allow the film to appeal to both action fans and those looking for a little more depth. Through brief flashbacks, we’re provided with insights into both Luke and Mei’s pasts as well as the necessary facts surrounding the main conflict itself. Not only does this avoid excess fat, keeping the pace tight and to-the-point, but it also allows for Statham and Chan to exercise some of their acting abilities. Unfortunately, while this method does have its merits, it also results in a film that, at times, feels too convoluted and overpopulated for its own good. While the main focus rarely stumbles from Luke’s efforts to keep Mei safe, the deterrents – in the form of villains and straying plot strands – are too underwritten, yet too prominent to turn a blind eye to, often interrupting the natural flow of things and resulting in some unfortunately cliche-ridden chunks. It’s to Statham, then, to constantly re-capture attention, and it’s safe to say he does it in a professional, surprisingly emotional manner. His physical commitment to each and every role may be unrivalled, but Safe allows him a rare opportunity to show another side of himself: his range as an actor. Not only does he have excellent screen presence, but he also shares some heartwarming scenes with Chan (holding her own as an inexperienced newcomer) and delivers two of the film’s best lines. While it may spend its entirety quivering on the narrow line that separates winningly sleazy from just plain sleazy, Safe rises to its enticing plot and, with the aid of an unrelenting force, a director who clearly knows his action and a cool, calm and collected Statham, hits all the right notes. It’s breezy and brainless, but all the better for it. 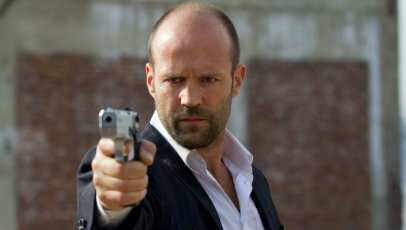 Interested to watch this – it certainly looks a cut above the recent stuff Statham has been involved in. I liked it a lot more than I was expecting to.